PPP did a head-to-head between Governor McCrory and Attorney General Cooper, the prospective candidates for governor in 2016. McCrory leads Cooper, 43-41. 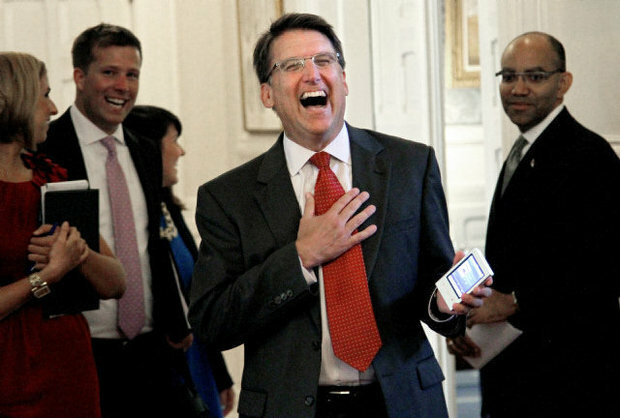 Back in September, Cooper led McCrory 48-42, so this is an improvement for the governor. His approval rating is 39/44, which isn’t good at all but isn’t horrible either. Cooper’s favorables have also gone down. In September it was 32/18, now it’s 27/18. Does that mean the NC GOP effort to brand Cooper as a Democratic partisan has been successful? More likely it’s just statistical noise. McCrory’s approvals have improved because a) voters have generally forgotten why they’re angry with the legislature and b) there’s a perception that the state’s economy is improving. Perhaps the best thing for McCrory to do at this point is to stay out of the news, not make waves, and talk about the “Carolina Comeback”. The governor’s predecessor saw a similar drop in her approval rating early in her term and never recovered, so it should be a little heartening for McCrory that voters aren’t ready to dump him for someone like Roy Cooper. Cooper, by the way, is having a lot of problems running for governor so early, particularly with the liberal Democratic base. It’s a tough balancing act and it could prove in the end to be too tough.